Total 254 out of 1,307 medals have been decided till date for various games under the Eighth National Games underway in various districts of the Province 5. Winners of total 67 gold, 66 silver and 121 bronze medals have been fixed by this morning, the National Sports Council (NSC) states. The event was formally inaugurated on Sunday though a few games opened on April 10. The ‘departmental teams’–representing Nepal Police, Nepal Army and Armed Police Force–continue to dominate the medal tally. 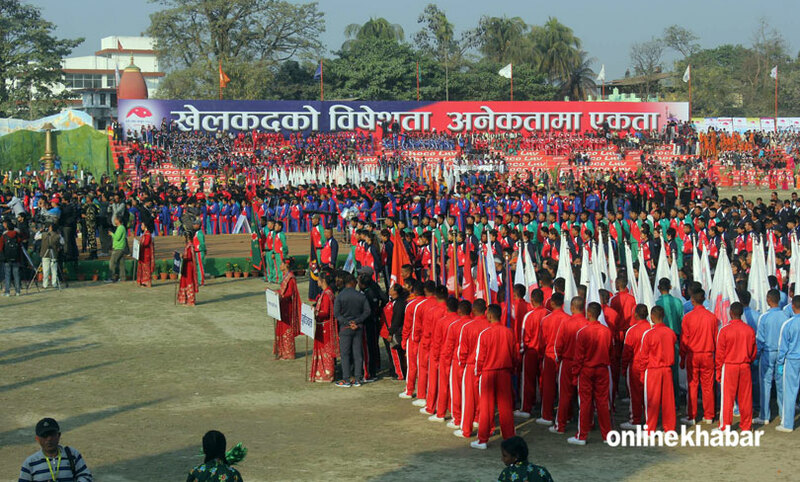 As per the latest results, Tribhuvan Army Club tops the tally winning the highest number of medals with Nepal Police in the second position and the APF Club in the third position. The Tribhuvan Army Club has so far clinched 52 medals, including 18 gold, 20 silver and 14 bronze. Nepal Police has won 34 medals, including 13 gold, 10 silver and 11 bronze and the APF 38 medals, including 11 gold, 11 silver and 16 bronze. Sudurpaschim Province, which is in the fourth position in the medals tally, has bagged 20 medals including six gold, five silver and nine bronze. Province 2 has won 11 medals including six gold, three silver and two bronze while Province 3 has bagged 37 medals including five gold, eight silver and 24 bronze. Likewise, Province 5 has won 20 medals including four gold, five silver and 11 bronze; the Gandaki Province has clinched 16 medals including two gold, three silver and 11 bronze. Province 1 has won 21 medals including one gold, one silver and 19 bronze; the Non Resident Nepalis Association (NRNA) has clinched three medals including one gold, two silver and one bronze and Karnali Province has won two bronze medals.